Ben didn't ever recover from our Hawaii vacation and is constantly in the kitchen crafting himself a tropical drink! 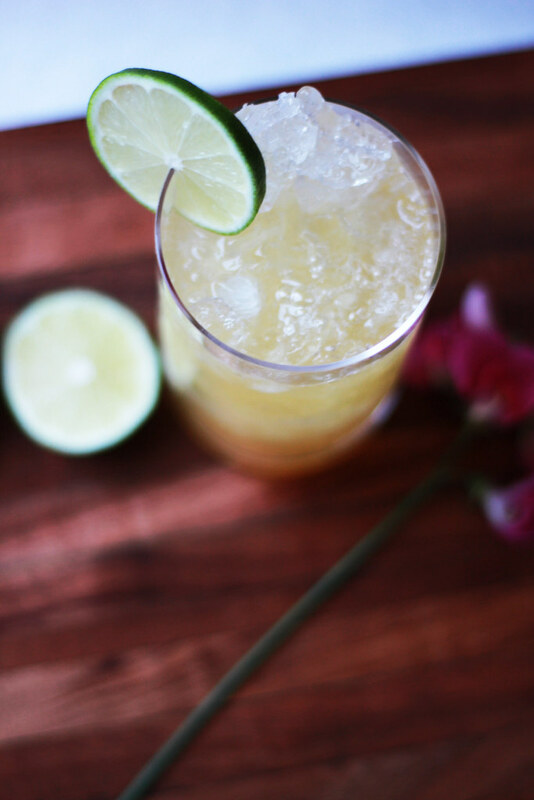 This most recent drink was his own invention for hot summer days when he was craving something citrusy and sweet. I'm not a big rum drinker, but I can even attest to the refreshing nature of this cooler. The flavors works well with just a shot of liquor, making it easier to sip and enjoy more than one! I recently read an article on Cup of Jo about the new wave of cocktails - session cocktails! I couldn't agree with that idea more! Intrigued by longer term sipping sessions and lower alcohol content beverages? Start with this one! Fill a tom collins glass with crushed ice. 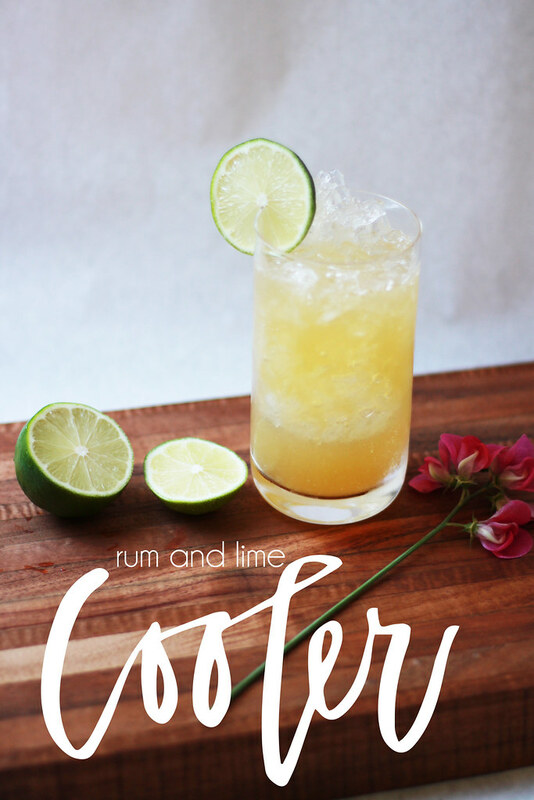 In a shaker, add 1 oz of golden rum, squeeze the juice out of one lime (reserve a slice for a garnish), add 3 dashes of bitters. Shake well. 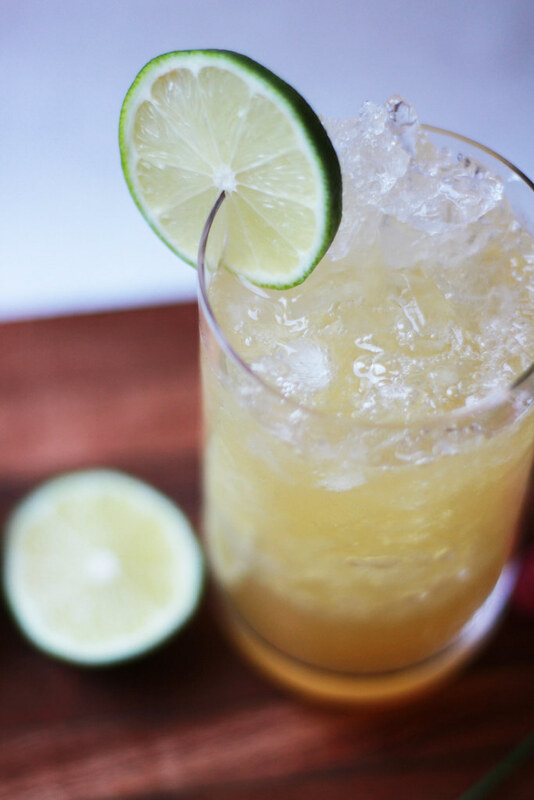 Pour over ice and garnish with a lime! Enjoy! This sounds like perfectionn! I shall deffo be giving this a go! This looks perfect for today's weather! I don't drink because of my health conditions. But if I did, this would be refreshing I'm sure!